If you want to buy a car that combines comfort and practicality as well as some off-road capabilities, it is very real that your search will return an endless selection of crossover SUV models from various manufacturers. Once again, this shows that the North American and European markets are flooded with crossovers, and their sales are increasing. However, an experienced driver knows that crossovers are actually not the best option when it comes to some critical capabilities, such as driving dynamics, performances, size, and others. What if your perfect car has to have all capabilities of crossovers and the ones they lack but you do not want to go for large SUV? We might have a great option for you, and it came from Germany and called 2017 Audi A4 Allroad Quattro. This car has been previewed for the first time at this year’s Detroit Auto Show and is a station wagon equipped with maximum functionality, off-road capabilities, and great driving dynamics. The first A4 Allroad has been produced seven years ago and received great feedback from customers in Europe. According to Audi, the secret of the popularity of that model was simple: take the body of the wagon and provide it with the best functionality possible and the result is a great-looking car with an impressive load of features. Certainly, it is a great combination, so let’s find out if it can finally entice the customers away from the crossovers and SUVs. Regarding the size, the new A4 Allroad is almost identical to the standard A4, which was released back in 2009. The current wheelbase is 110.9 inches, which is slightly larger than the initial model and the length/width is measured at 187.0 and 72.5 inches respectively. The cargo volume was also increased to 18 cubic feet, a respectable amount of space sufficient for transporting a lot of things. This volume can be increased up to 53.3 cubic feet when the rear bench is folded down. The list of similar things between these two versions ends here because the exterior styling is completely different and reminds us more about non-Allroad models. Also read about Audi A9 Concept! For example, the A4 Quattro was given a unique front fascia, which combines both traditional look and restyled elements, such as air intakes and bumper. Next, it features the different headlights that were not used on other Audi models; they come with integrated Xenon lighting, turn signals, and DRLs. On the rear end, there are some few distinct design elements, including leading-edge roof spoiler and twin exhaust on diesel models and separated pipes on gas models. The first look at the exterior of A4 Quattro reveals a sleek and great-looking body, which is everything but the box-on-wheels like many modern crossovers. The designers clearly did a fabulous job here, but what about inside? As it was briefly mentioned above, the full cargo space capability of the vehicle was estimated at more than 53 cubic feet, which also translates into a spacious cabin. If you are worried about difficult loading process, the Audi has already made it easier by providing electric tailgate and baggage compartment cover. Moreover, the customers will have the opportunity to equip their new A4 Quattro with some premium features here, including foot sensor and hands-free tailgate access, so the improvement in space capabilities and comfort is clear in this area. 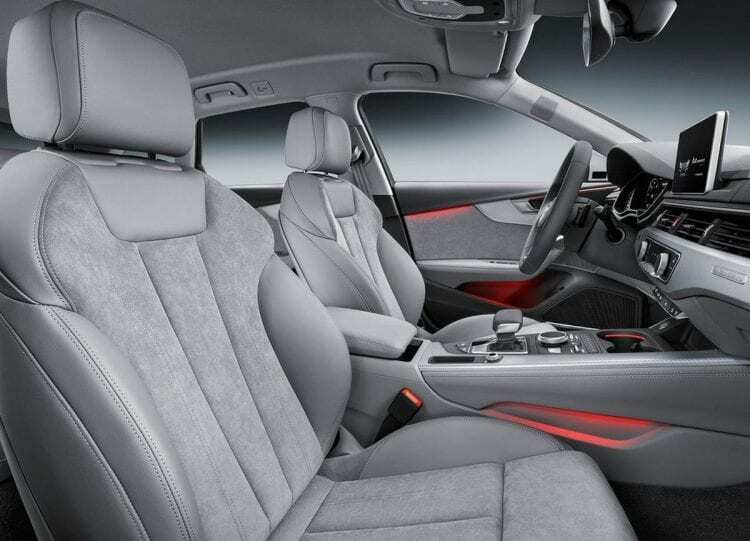 In terms of design, the interior of 2017 Audi A4 Allroad Quattro sure reminds us of its sedan and wagon siblings. Specifically, most of the essential elements and layout have been carried over from them, including materials, dashboard screen, digital instrument cluster and overall layout of the components. However, this is not to say that Audi should have done a much better job here because the interior look great, and the changes are significant. For example, the A4 enjoys a lot of previously premium features as standard, including Bluetooth, convenience key, and a 7-inch MMI screen. Although the dashboard screen was carried out from other models, the dashboard itself is completely new, slim, and futuristic, featuring sharp-looking aluminum trimmed décor. It should also be noted that manufacturer has provided an Audi branded tablet for the passengers’ entertainment, which is another optional premium feature that is certainly impressive. The list of premium high-tech bits and pieces does not just end there. The driver and passengers will also be entertained by a new Bang & Olufsen 19-speaker stereo sound system that provides high-quality 3D sound for the highest level of pleasure. Great sound insulation of the cabin certainly plays a role in enhancing its capabilities so the occupants will be exposed to a complete aural experience. 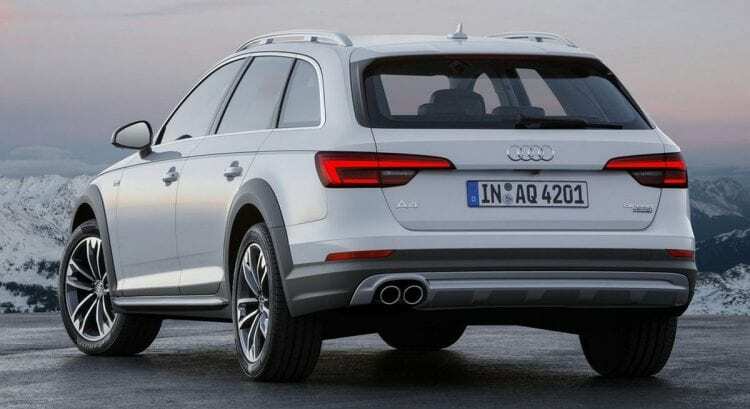 Also, A4 Allroad is equipped with Android Auto and Apple CarPlay for smartphones connectivity and a wireless charging system to keep them running for a long time. The smartphones clearly have to be charged during the trips, and we are also getting Wi-Fi hotspot that supports 4G LTE providing enough entertainment for all passengers. Apparently, A4 Quattro has a similar load of high-tech features, comparable to most of the current crossovers so that it will be an equal competitor in this area. Let’s find out if it can deliver the same performance. 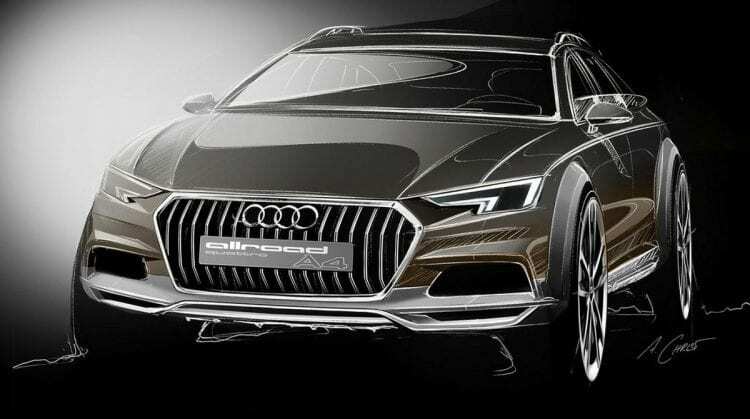 There will be two engine options available with the A4 Quattro, for the European and American market. The American one will feature a 2.0-liter TFSI turbocharged four-cylinder engine, capable of producing 252 horsepower. According to the manufacturer, this unit reaches 60 miles per hour in 5.3 seconds and tops at 153 mph; reportedly, the European-market model can also reach the same speed. These indicators suggest that the new car will be more powerful than the previous one, which had 220 horsepower. The engine in A4 Quattro is combined with the seven-speed S tronic transmission in the American version. There will be few other versions, at least when it comes to the engine lineup and transmissions options for other than U.S. market. The new model is more likely to be successful on this less “crossover” consumed continent. 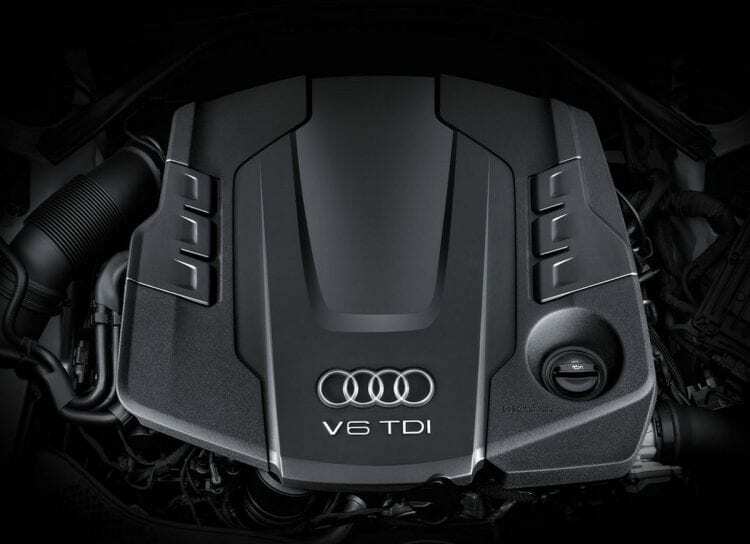 The selection of engines includes a 2.0-liter TFSI unit with 208 horsepower, 2.0-liter TDI with 174 horsepower and the 3.0-liter turbocharged diesel wit 240 horsepower. The latter one is the most powerful engine on the European market and reaches 60 miles per hour in just 6.2 seconds. As for the transmissions, Audi offers two additional options: six-speed manual and eight-speed Tiptronic, which will be available depending on the engine selection. When the model comes later this year, the European customers will have the opportunity to purchase the model at starting price of $48,690. There are no details on the price of U.S. version, but it is reasonable to expect it range of $45,000 without the additional features and delivery charge.